Rediscover a Visual Culture / Pacific Voice inc. The management team of Pacific Voice works with actors and professional athletes creating individualized management strategies that best suit each client. Focusing on short films, Pacific Voice offers various services in and around entertainment properties. Consultation and implementation assistance in cultural exchange programs and events, such as the Short Shorts Film Festival. Pacific Voice L.A., located in Los Angeles California, is the partner company to Pacific Voice Tokyo. Management with new value and imagination As a professional group, our goal is to service our talented clients with effective time management, professional negotiations, and better personal development with new values and imagination. We also strive to develop interpersonal relationships with our clients so as to draw out their individual potential. Gold medalist of Men Freestyle 48kg Wrestling in Seoul Olympic 1988. He began wrestling in high school and became a champion in his second grade. He won the title in Asia Championship in 1982. 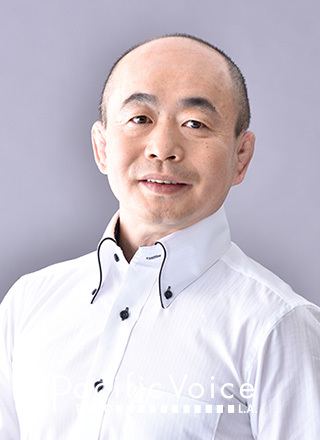 He is the Gold medalist of 48-kg Freestyle Wrestling in Seoul Olympic in 1988. He became well known after he lost his gold medal at the phone booze. In 1989, he won the Japan title and was presented “Asahi Gymnastic Award.” He retired in 1991. He is pursing his career to giving lectures and training younger generation. PR committee for Japan Wrestling Association. Short Film "OBOETE IRU" Short Film "DORON"
Copyright © Pacific Voice Inc. All Rights Reserved.